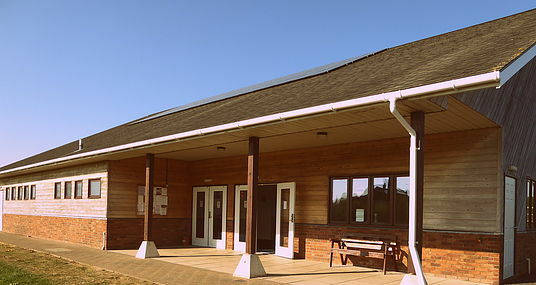 The Williams Hall is a light, airy, modern building surrounded by lawns and trees with ample parking conveniently located in central Somerset. The main hall is licensed to accommodate 199 people. Up to 180 can be seated in “theatre style”, and over 100 seated at tables for dining. Full catering facilities are available in the main kitchen. Facilities include a Hearing Loop and a full PA system with Lapel & Hand-held microphones. There is a large stage with theatrical lighting (if required). The Meeting Room, with its own galley kitchen, seats 36 people and can be hired separately. In the centre of Somerset. 15 mins from M5. Ample parking. Two meeting rooms for 20 and 100 people. Excellent catering facilities. Projector and large screen. Fibre broadband wifi coming soon. The hall was designed with drama in mind, and has excellent stage sound and lighting facilities. Excellent venue for presentations, trade exhibitions etc. Regular activities are well attended, and priority will always be given to local groups to start new ones. Regular activities organised from further afield are also encouraged.